And we continue the saga of crappy Virginia restaurants. On this particular occasion, I was meeting Chris' family at a restaurant to celebrate his brother's birthday so I had little say into where we were going. We ended up at Copperwood Tavern in Arlington, Virginia. 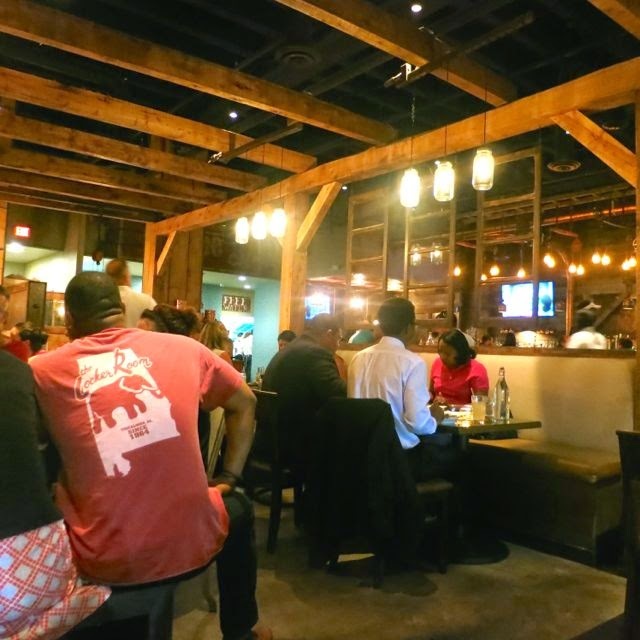 They emphasize that they are "farm to table" as most trendy restaurants do these days. We were immediately seated once we arrived. The restaurant was loud -- really loud. It was packed and the service was pretty slow. Very few wines were available by the glass so I just started with a Pinot Noir from Jezebel in Willamette. It was fine. I asked the server about vegan options and he wasn't too optimistic that I'd find much. He, of course, just listed the salads. I mentioned that I called and asked about this ahead of time and was told the stuffed peppers were vegan. He was sure they weren't so he left and went back to the kitchen. 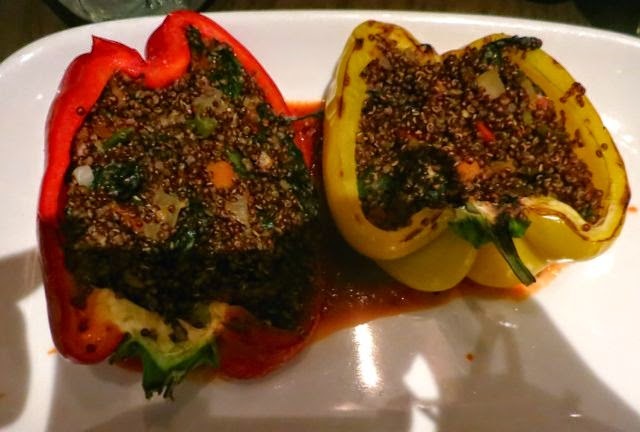 He returned stating that the Red Quinoa Stuffed Peppers were, in fact, vegan without the parmesan so I ordered that. It was probably 25 minutes later before we received our food. The peppers were as bad as they look. They were hard and tasted like they hadn't been boiled. The red quinoa veggie mix inside was flavorless and the two spoonfuls of generic tomato sauce were not only not good, but not plentiful enough. I was incredibly disappointed as was everyone else at my table. 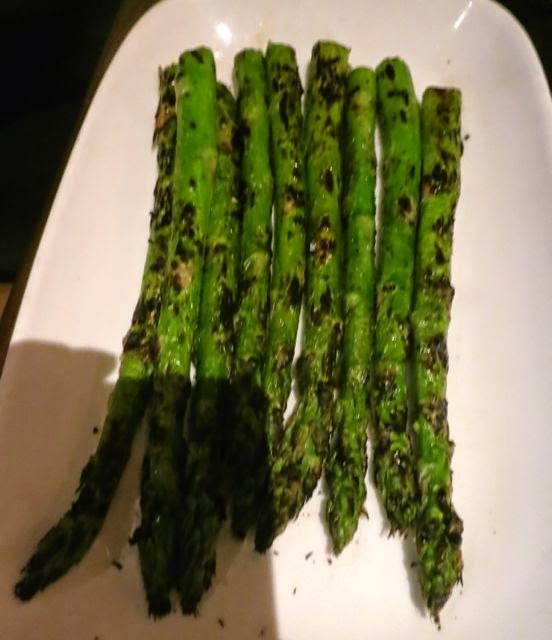 I also ordered a side of asparagus. It was fine, but nothing special. For $17, I expected a much better entree. The restaurant was loud, the service was poor, and the food was awful. I would not recommend this place. Oh, my gosh! That sounds terrible! I hope you had something delicious waiting for you at home afterwards.